So you are finally ready to update your old, musty, tired-looking bathroom. You want to upgrade and elevate it to a clean, relaxing, and efficiently functioning space. So you head out to your local home improvement store to look for design ideas and new fixtures. You are happy to pick what you like, but the final amount that you are going to have to pay brings your remodeling enthusiasm plummeting down. You want to make bathroom updates, but you realize you just cannot afford them. Is there anything you can do to help yourself out of this predicament? 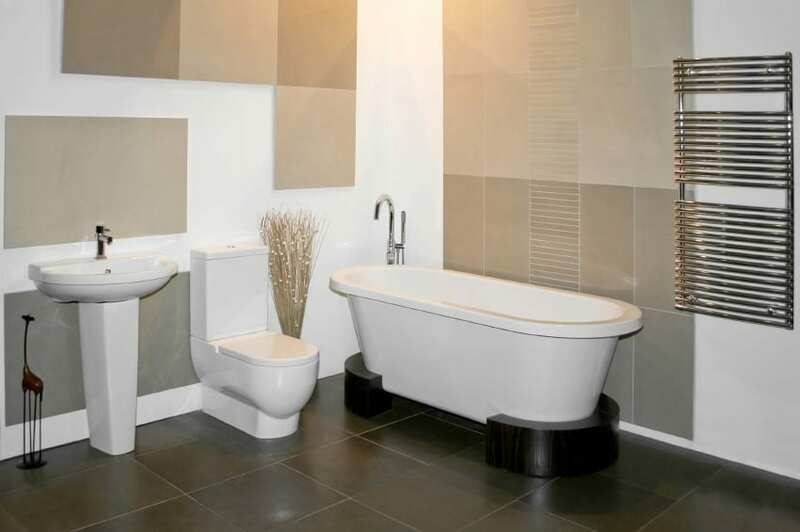 Here are some ideas that will allow you to remodel your bathroom while keeping your budget low. Countertop savings. Granite countertops in bathrooms certainly look good, but they can be very expensive. So instead of splurging on the perfect countertops for the bathroom, go with granite colors that are less popular, and therefore, less expensive. You might also think about buying slabs that are cheaper because they have some imperfections- they might not be visible anyway if they happen to be where the sink and faucets are. Refinish instead of buying new. Instead of replacing some bathroom items, you can refinish them to cut costs. This is especially true for bathtubs and showers. Have a professional reline them and you save a ton of money by not having to install new ones. Buy used. You can save money by buying used items for your bathroom rather than brand new ones. You can visit your local stores or search online on Craigslist, eBay or other online stores to find good bargains. Doors, mirrors, faucets, sinks, and even tubs and toilets can be bought for a fraction of their original cost. Another good place is to check the Etsy website for upcycled bathroom accessories. You can also get creative with what you may already have or what you can find. Plumbing pipes and fittings, for example, can be turned into stylish and trendy metal shelving for your bathroom. Instead of glass for the shelves, you can save money by using shatterproof acrylic. Save on tile. Laying down tile can get very expensive especially if you hire a contractor. Ceramic tile can make a dent in your budget if you plan to cover a big area with it. You can focus on covering only high-impact areas like the floor with tile, and use something more affordable for other areas like the shower stall. You can also tile a strip of wall up to some height and paint the rest to save money. Alternatively, you can also use inexpensive bead board paneling made from cellular PVC for the walls. Another option is to use vinyl composition tile instead of ceramic, since these are durable and inexpensive. Remember, with a little bit of research and planning, you can afford to create the bathroom you always wanted. Add style and character to your bathroom by getting creative with your ideas- all while saving a bundle!